Rubbedin Soot-Loose makes cleaning your chimney/flue quick and easy. 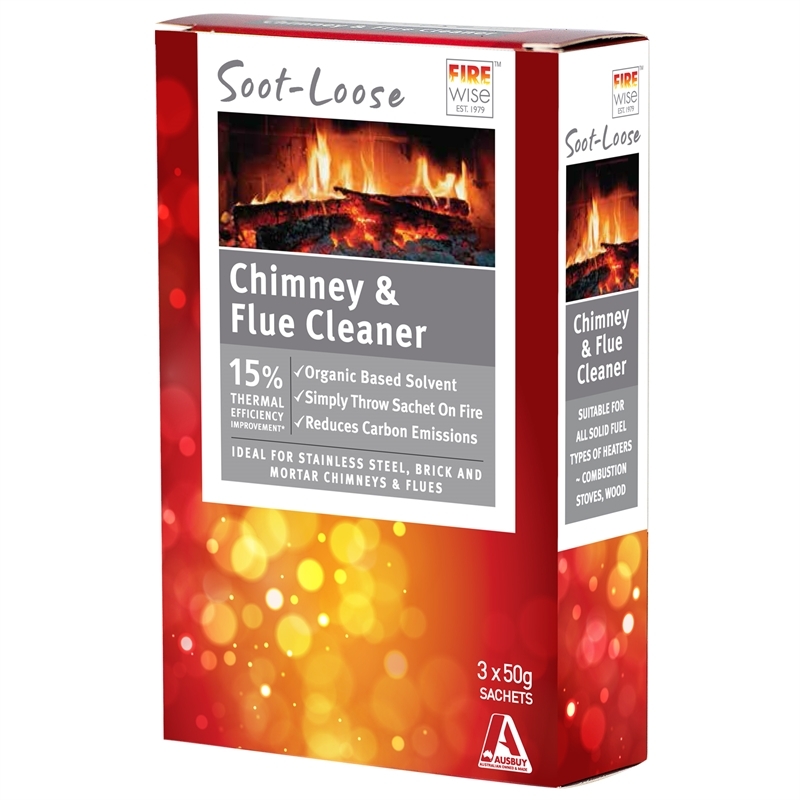 Soot-Loose is based on a non-flammable, non-toxic, non-corrosive organic solvent which travels up the chimney/flue and dissolves the tar and creosote that has accumulated over time. With regular use Soot-Loose will prevent the build up of tar, creosote and soot in your chimney/flue, increasing efficiency of your heater, reducing its smoke emissions and preventing dangerous flue fires. Unlike salt based flue cleaners, Soot-Loose will not corrode stainless steel flues. Non-corrosive, Non-flammable, Non-toxic and safe to use. Keep out of reach of children. Avoid contact with eyes and skin. Avoid breathing spray mist.